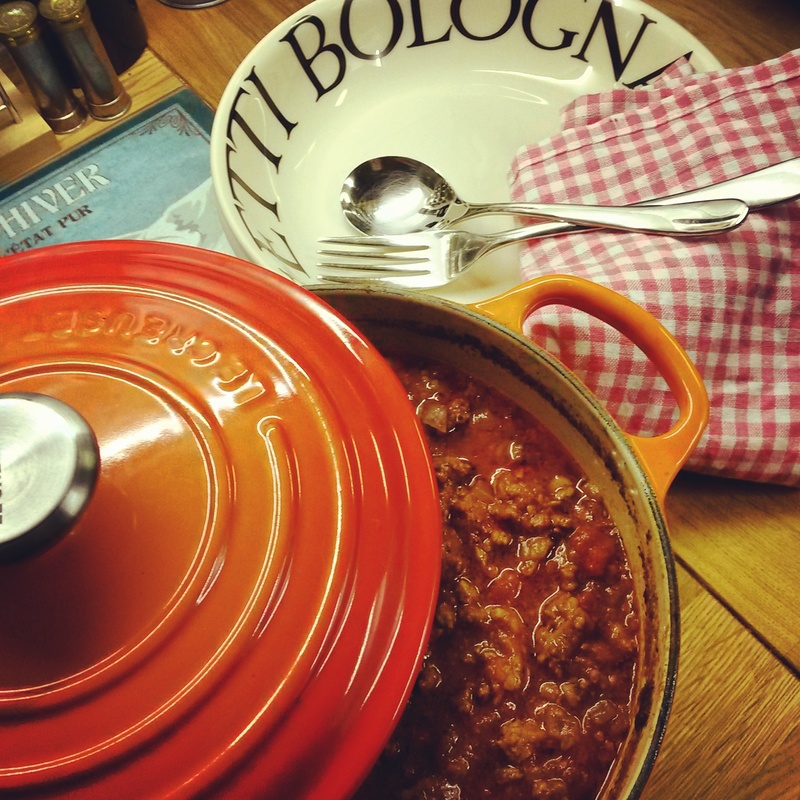 My tried and tested (a million times) recipe for a quick and easy Bolognese sauce. This makes enough for about 6 people. In a large pot (ideally one that can go from the hob to the oven) sweat the onions, garlic and chilli in some good quality olive oil until soft. Add in your mince, and use a wooden spoon to break it all up. Add a splash of milk to the pan, this keeps the mince lovely and soft. Once the mince has browned, add in your herbs, tinned tomatoes and tomato puree. Bring to the boil, add salt and better to taste, and splash of HP sauce. At this point, if you’ve got time to spare, transfer the pot to the oven, with the lid on, and cook on a low temperature for 1-2 hours, or however long you have. If not, turn the heat down on the hob, put the lid on and leave to simmer for 30 minutes. Serve with your favour type of pasta, I like it with pappardelle, and some freshly grate parmesan cheese. TOP TIPS: Tastes even better the day after, and is also very tasty served Sloppy Joe style on a soft, white morning roll! Next The Best Christmas Dinner Ever?